One of the key things I’ve taken away from this year is a quote from Roxane Gay’s Bad Feminist: “Books are often far more than just books”. That’s certainly the case for a lot of the titles I’ve read this year, particularly those from Abrams + Chronicle. 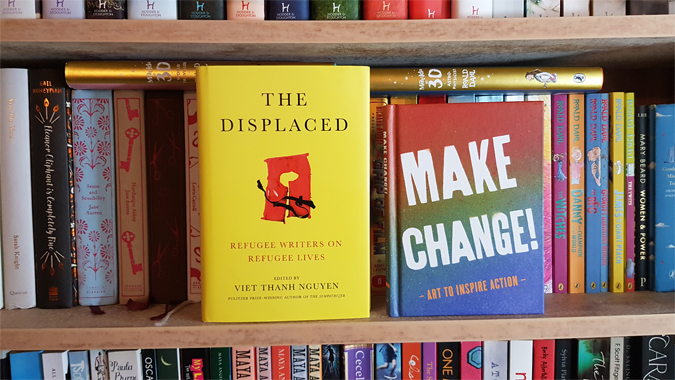 For my final 12 Days of Christmas giveaway, I asked the lovely PR team at Abrams + Chronicle if they’d be kind enough to donate a copy of my book of the year, The Displaced. I think it’s such an important book that I wish I could give all of you a copy! Plus we all know you can’t beat a book as a Christmas gift. 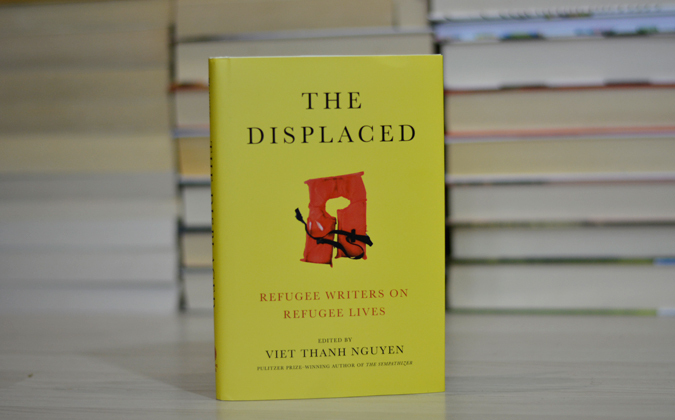 In The Displaced, Viet Thanh Nguyen, a Pulitzer Prize–winning writer, and a refugee himself, has brought together a host of refugee writers from around the world to highlight the refugee experience. And the result is an anthology that really should be required reading. There are an estimated 65.6 million people displaced worldwide (Source: Student Action for Refugees). This figure includes 22.5 million refugees, an estimated 40.3 million ‘internally displaced people’ (those who have left their home but have not crossed an international border) and 2.8 million asylum seekers. This amounts to the number of new displacement equivalent to 20 people being forced to flee their homes every minute of 2016. There have been 10.3 million people newly displaced last year alone. 51% of refugees are children under the age of 18. 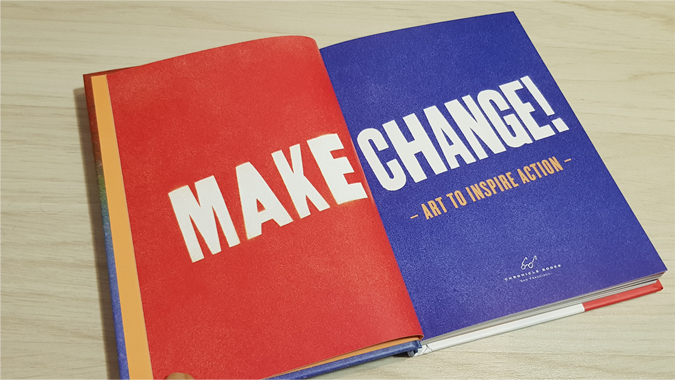 Abrams + Chronicle are also giving away a copy of Make Change, another title I reviewed earlier this year. It complements The Displaced well as it’s a welcome reminder that one person has the power to make change. 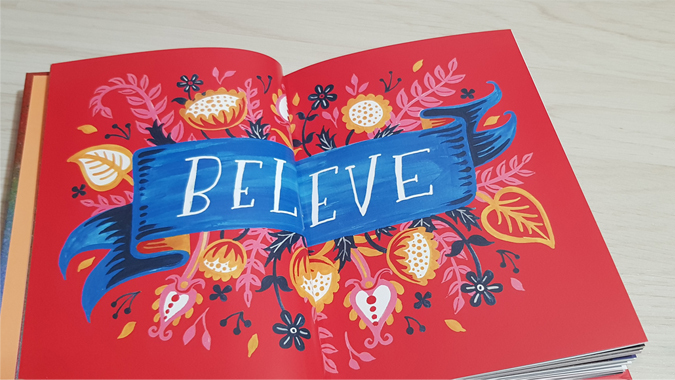 There are small steps we can all take to encourage action and make change, be that big or small, and these books can empower you to do just that. To be in with a chance of winning, just complete the Gleam entries below before midnight Tuesday 18 December. A winner will be drawn at random and contacted directly. They will have a week to respond before an alternative winner is selected. UK entries only. I only seem to read kids’ books these days so can’t really recommend a book of the year! 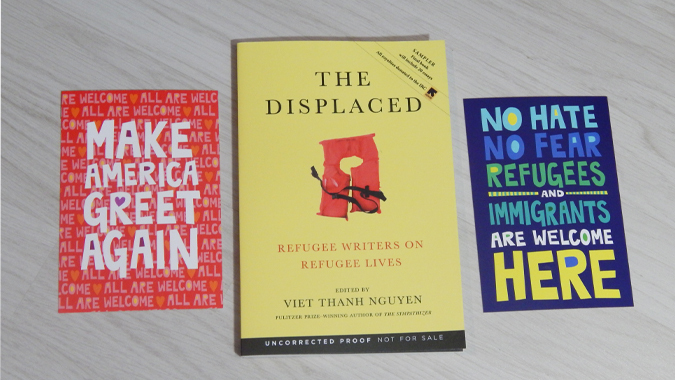 The Displaced sounds like an amazing book though, from a point of view we don’t often hear about, I’d love to read it.